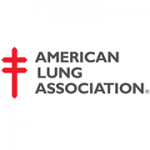 The American Lung Association is leading the way in helping all Americans breathe easier. As the nation's oldest voluntary health organization, we are America’s trusted source for lung health education, lung disease research, support, programs, services and advocacy. Spring Travel is Around the Corner!